This is open to all, regardless of faith or background. 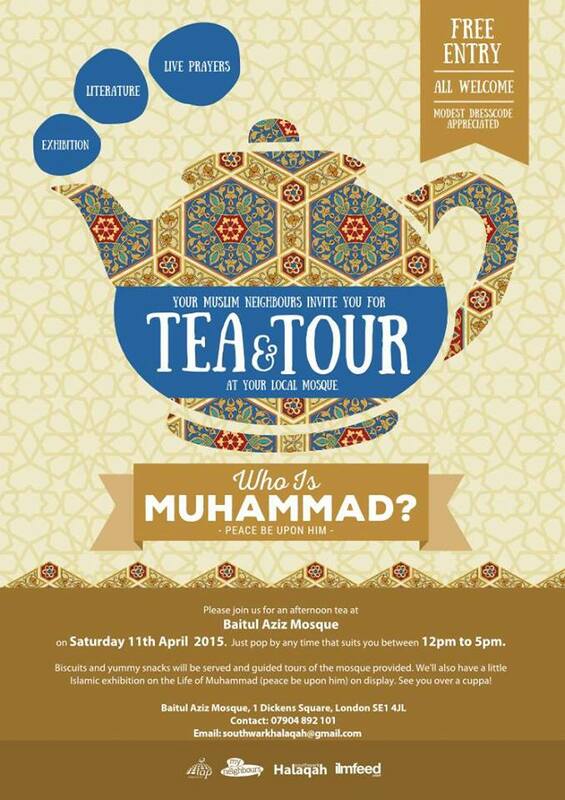 This Tea & Tour will offer a fantastic opportunity to gain an insight into Islam. All are welcome. A ‘modest dress code’ is suggested.